Since the departure of Brandon Wilds the Gamecocks have not had a standout running back. Although the soft offensive line could have something to do with this. We really do not think Muschamp has ever had a running back on the roster that is an elite caliber running back like Mike Davis or Marcus Lattimore. The 2020 recruiting class could change that. Is Tank Bigsby a Five Star Recruit? 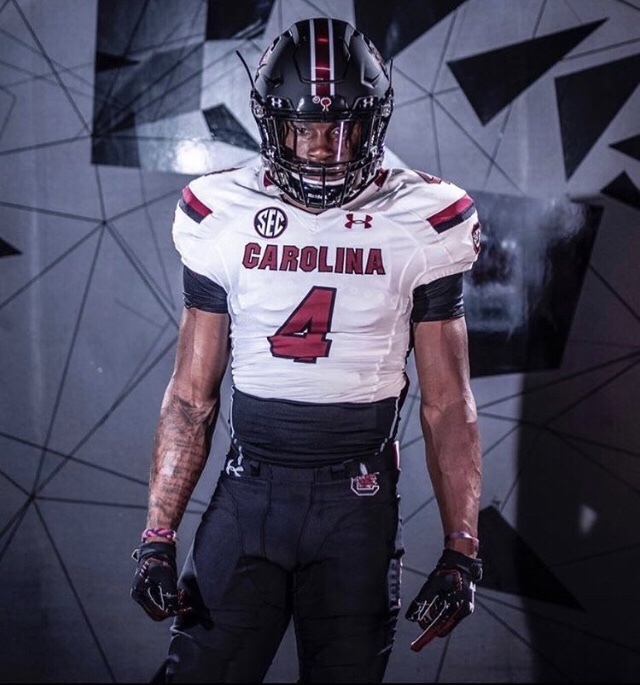 South Carolina is in great position to land a coveted running back from the state of Georgia in 2020. He is not a five star but he is a top ten RB in the class of 2020. As the ratings sit right now, Tank Bigsby is a a very highly rated four star recruit who has opportunity to improve his ranking in his senior season of High School ball. He could realistically make the jump to a five star within the next year. Where Will Tank Bigsby Play College Football? Will Tank Choose South Carolina or UGA? Tank Bigsby has been highly recruited by a lot of big name universities. South Carolina has the privilege of being one of the final options that Tank is considering. From what we have heard around the program, tank is down to the University of Georgia and the University of South Carolina and is leaning toward USC. If Tank does officially commit to South Carolina he would be a huge boost to our running back corps. If he commits our backfield would have three solid guys in the 2020 season; Deshaun Fenwick, Kevin Harris, and of course Tank. Having the legend Marcus Lattimore on staff as well as the off season hire of Thomas Brown will be huge in our effort to land Tank. Names such as Todd Gurley, Keith Marshall and Nick Chubb are some products of Thomas Brown. Brown could make our backfield look as good as it did back in 2013 and Tank Bigsby would be a huge contributor to that.